Customer reviews are critical to growing your business, yet many business owners struggle to get reviews. Don't give up! 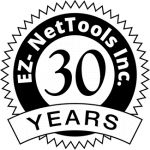 EZ-Reviews helps smooth out the process, making it easier for customers to leave a review. With EZ-Reviews, we are seeking to re-define how to obtain reviews for your business.